Dunk Tank Rentals In Michigan are great when the temperature outside is blazing hot. Imagine dropping into a cool pool of water and how it is the most refreshing feeling in the world. 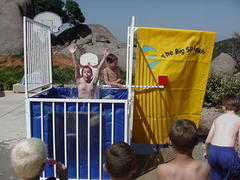 This is what makes a dunk tank rental such a great choice during the summer months. The most popular uses of a dunk tank, other than just to cool off, is at charity fundraisers, company events, and school carnivals. 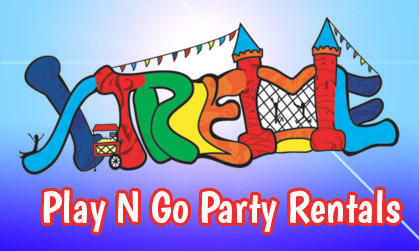 Charity fundraisers always raise a great amount of money with Xtreme Play N Go Party Rentals dunk tank rentals, charging people money to dunk a figure or a friend. At corporate picnics, the dunk the boss scenario is by far the most popular. Although it may not be the most punishing idea of a hot day, it’s still the whole thought of the matter. Renting a dunk tank for a party or school event is always fun, because students love the chance to dunk a teacher or supervisor, or at a party, such as a graduation party, dunking friends and parents is endless fun! This dunk tank rental takes around an hour to fill, so when you decided to. 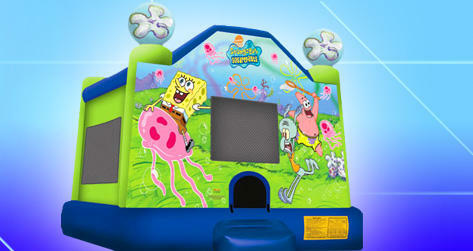 This is one of our most popular party rental items so book now.